Jose Abreu is going through the worst funk of his entire career. Through Thursday’s game in Baltimore, Abreu has been to the plate 100 times this season and is hitting .207/.290/.345 with three home runs, 10 RBI, eight walks and 23 strikeouts. His TAv is .232, his OPS is .635 and his OPS+ is 83. Abreu’s rough start is highlighted because it has happened at the start of the season, when a poor 100-plate appearance stretch in, say, July, wouldn’t be as noticeable. So, surely, Abreu has gone through rough stretches like this before, right? Nope. I looked at ~90 plate appearance samples of Abreu’s career and couldn’t find a single stretch that has been as poor as this. 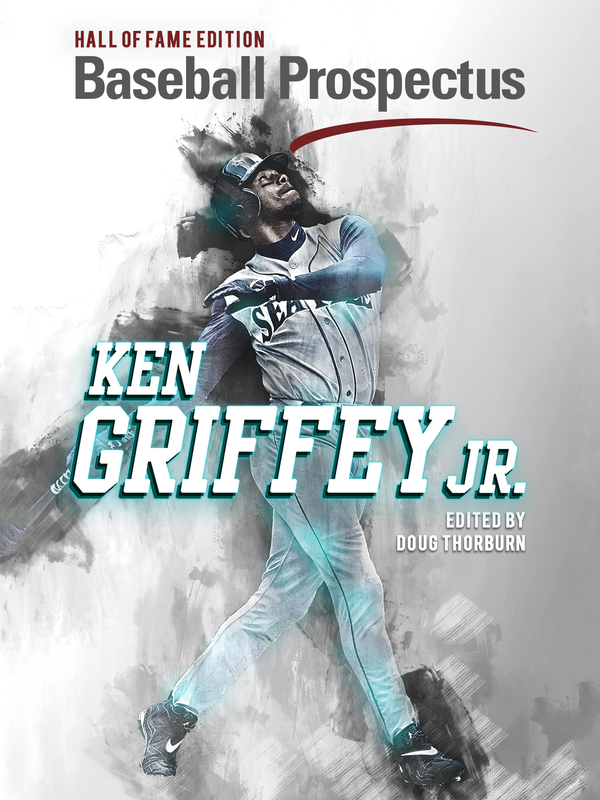 Before this, the worst I could find is a 95-plate appearance stretch from June 24 through July 23 of last season, when he hit .247/.295/.371 with two home runs, eight RBIs, three walks and 28 strikeouts. It’s safe to say that over the course of Abreu’s 1,381 career plate appearances, he’s never looked worse than he does right now. So what do we make of this, and is there cause for concern? 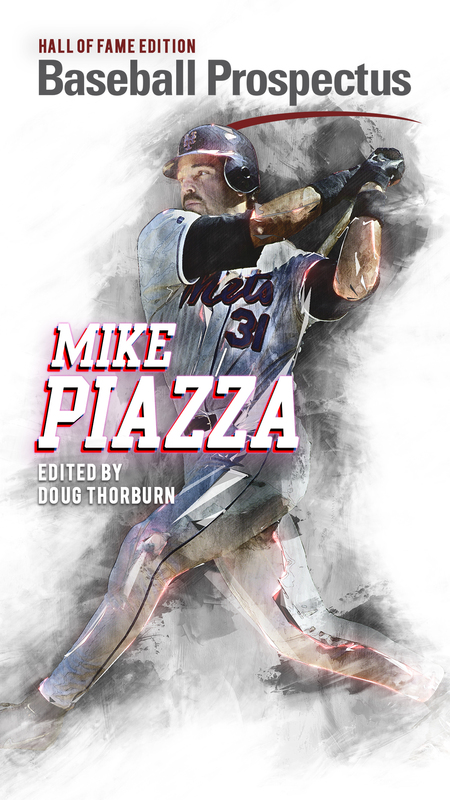 White Sox television color commentator Steve Stone has noted in recent games that the majority of the pitches Abreu has seen this season have been down and away. 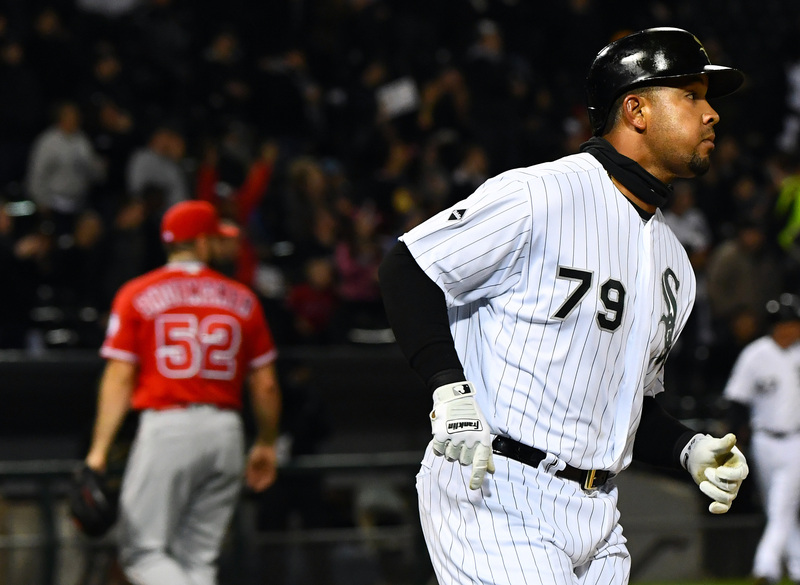 Play-by-play announcer Jason Benetti commented on that fact during Wedneday’s broadcast and expanded a bit, noting that nearly 20 percent of the pitches Abreu has seen this season have been down and away, according to Stats Inc. While that may be true, I wanted to see if those numbers were drastically different from the pitches Abreu has seen in years past. It’s true that pitchers generally tend to try to work Abreu down and away, something that’s not uncommon for power hitters. 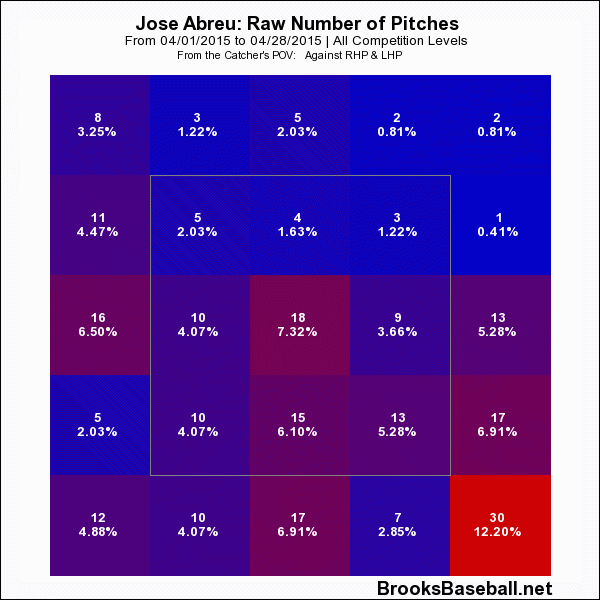 So far this season, the majority of the pitches Abreu has seen have been either low, outside, or both, with a number of pitches in on his hands, as well. So Stone’s statement is mostly true. But is this really different from what Abreu has seen in the past? To find out, I looked at two different samples. One is the pitch location percentages for April of 2015, and the other is his career as a whole. That should give us an idea of if this small sample size is common for early in the season, and also if it holds up throughout the season. 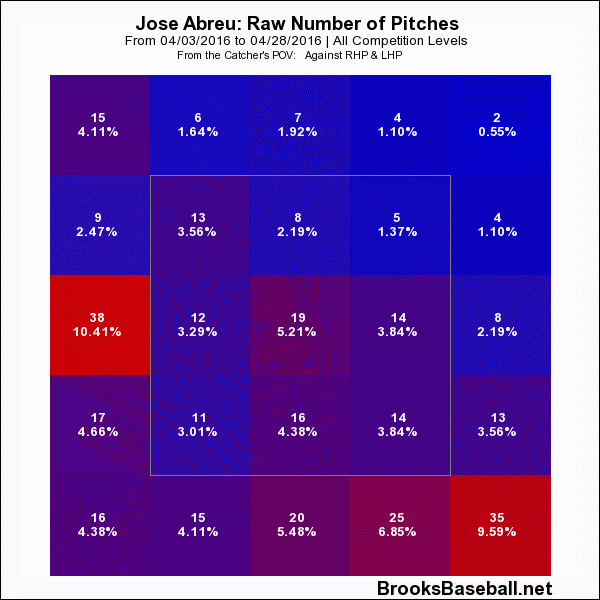 As you can see, facing a majority of pitches both low and away is nothing new for Abreu throughout the course of his career. So while what Stone said is true, it doesn’t necessarily explain his early season slump. OK, so does anything? The simple answer: not really. 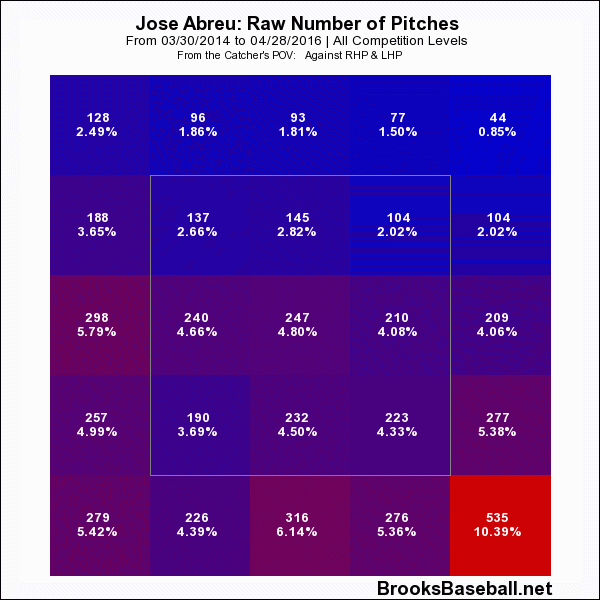 I looked at a number of different potential trends: spray charts, zone tendencies, swing percentages, pitch outcomes, and could find no specific trend that has changed drastically enough to lead to the outcomes Abreu has seen thus far. The only thing even slightly different is Abreu’s exit velocity on balls in play, which is down 2-3 mph on average, and the sample size on that isn’t significant enough to find any causation. However, there is one drastic statistical outcome that could explain a lot. In the aforementioned 90-plate appearance slump Abreu went through last summer, the one thing that didn’t change was his BABIP, which was .339 and right in line with his career mark of .335. His BABIP thus far on the season? .238. What this spells is the belief — and also the hope — that Abreu’s start is simply a prolonged stroke of bad luck. It’s jarring because we’ve never seen anything like this from him before, but with only about seven percent of a season’s worth of plate appearances gone by, the good bet is still on Abreu finding his hitting stroke and getting better results, hopefully sooner than later. outside,what happened with the white sox batting instructor?